How to cut MP4 video files into parts? 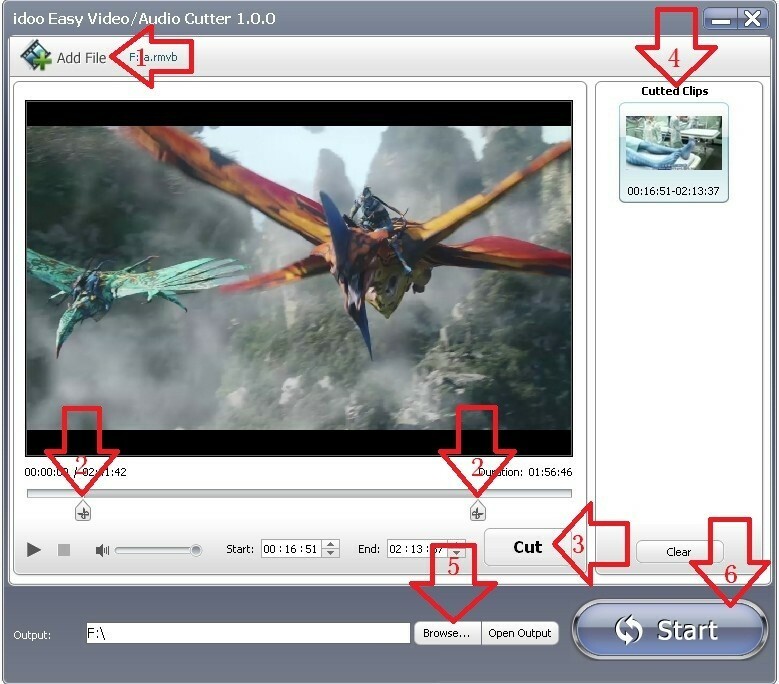 Why do we need an easy-to-use MP4 video cutter software? It is an important job to convert the formats of videos and audios. MP4 is quite a widely-used video format, into or from which we need to convert the video or audio files. So we call for an easy-to-useMP4 cutter to fulfill our demands of MP4 video cutter and joiner and format conversion. How to cut MP4 video files into parts ? 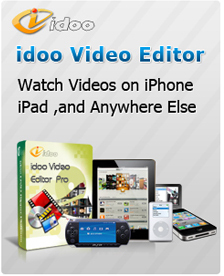 idoo Video Editor is the easiest MP4 video cutter program which can convert almost all video and audio formats. This MP4 video cutter downloads free for all users. The interface is clear and the operation is readily available to handle. Moreover, it cannot only cut MP4 videos, but also support almost all popular video formats (such as AVI, MPEG, MP4, WMV, 3GP, H.264/MPEG-4 AVC, H.264/PSP AVC, MOV, ASF) and audio formats (such as AAC, AC3, AIFF, AMR, AU, M4A, MP2, MP3, OGG, WAV). Also, it is able to convert the files into formats such as: AMV, ASF, AVI, VOB, FLV, MP4, MOV, MPG, MTV, RMVB, SWF, WMV, MKV, VOB, TS and 3GP which are under 16 categories (including general video, HD video, network video, application program, iPad and Apple TV, iPhone, iPod, HTC, Blackberry, Samsung, game devices, Amazon tablet, other mobile phones, media players, customized formats and recently output formats. You are able to convert the file format at any time of cutting it when the MP4 video cutter joiner is free downloaded and installed. 2Drag the sliders(Arrow 1) to select the video/audio section to cut or trim. Click "Cut" to get a file for preview. You can repeat the steps above to generate more than one preview files.